Sheffield's Tramlines Festival, has announced the first wave of acts to play its 11th edition from Friday 19th – Sunday 21st July at Hillsborough Park. 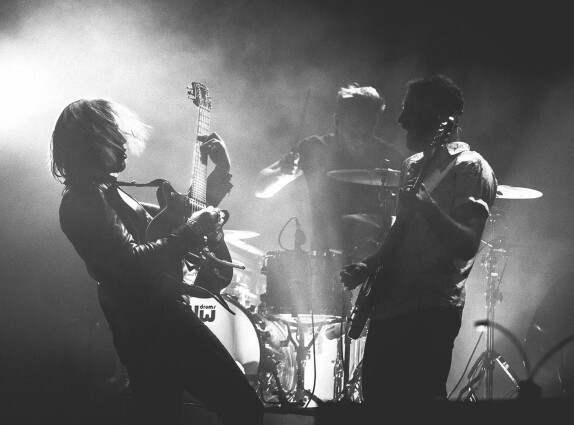 The headliners will be Two Door Cinema Club (Friday), Courteeners (Saturday) and Nile Rodgers & Chic (Sunday). 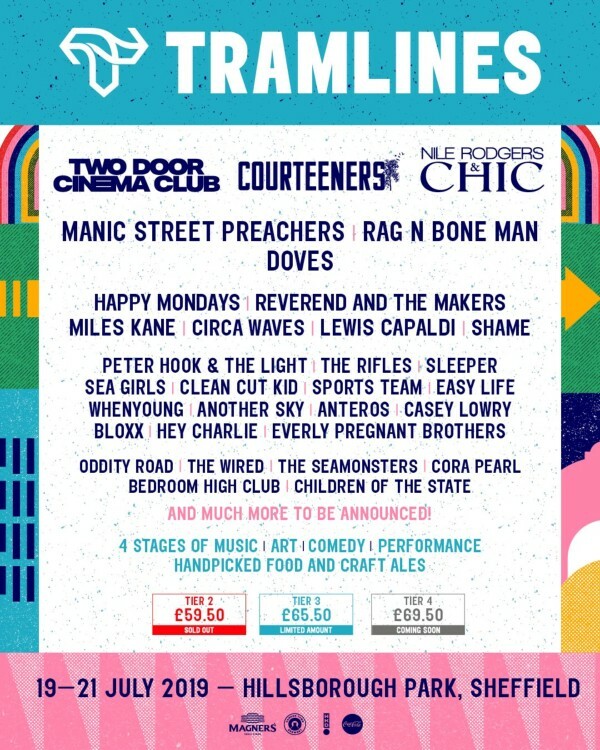 Other artists announced today include: Manic Street Preachers, Rag’n’Bone Man, Doves, Happy Mondays, Reverend and The Makers, Miles Kane, Circa Waves, Lewis Capaldi, Shame, Peter Hook & The Light, The Rifles, Sleeper, Sea Girls, Clean Cut Kid, Sports Team, Easy Life, and Everly Pregnant Brothers.